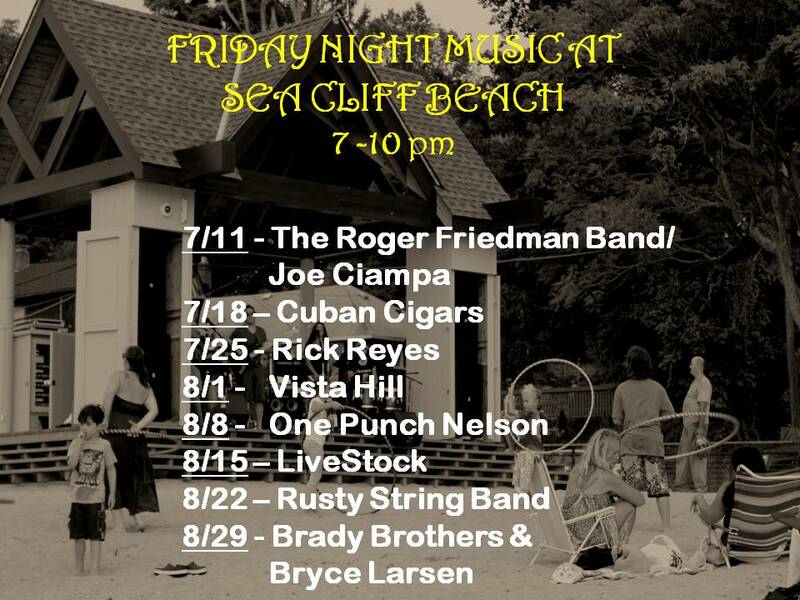 July 12, 2014 -- Sea Cliff summer music is now in full swing with the Civic Association' Sunset Serenade performances at Memorial Park on Thursday evenings from 7-9pm, and the Sea Cliff Beach Committee presenting live music at the beach's permanent performance pavilion on Friday's from 7-10 pm. This past Thursday, the duo Less than Three, featuring North Shore High School math teacher Robert Gerver and his son Michael, performed a range of tunes from the 50's, 60's and 70's at Memorial Park. They were joined by vocalist and 2012 North Shore graduate Lisa Vetrone, who sang a few of her original pieces. On Friday, the Roger Friedman Band performed a few covers but mostly originals, many from Mr. Friedman's recently released cd "The Waiting Sky," which has gotten considerable airplay on WFUV, the public radio station broadcasting from Fordham University that has helped bring exposure to many very talented indie-folk artists. Following Mr. Friedman's band, RiDe took the stage, playing a rich blend of funk, Rock n' roll and blues. 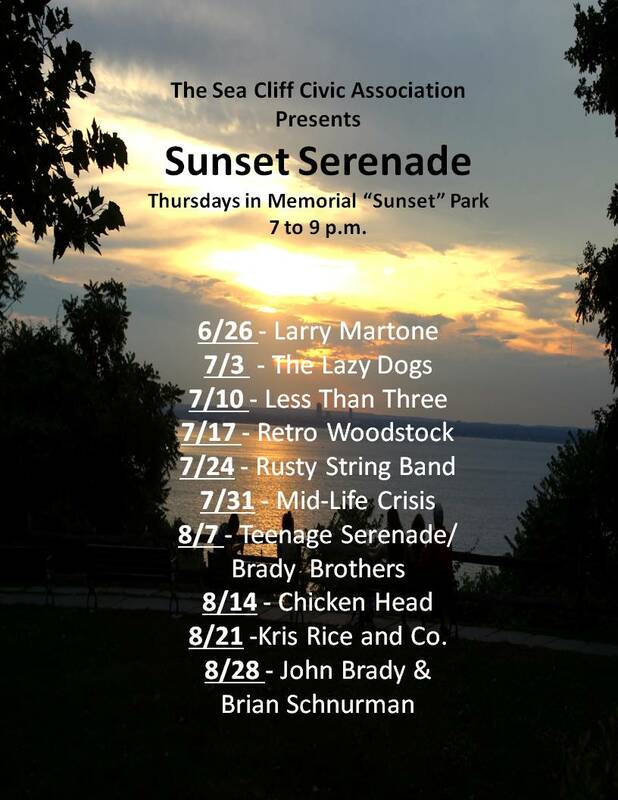 This coming Thursday, Retro Woodstock will be performing at 7 pm at Memorial Park, and on Friday, Andy Gertler & Co. will be at the beach from 7 - 10 pm. Visit the Northwordnews home page and events page from upcoming performances at local venues J.W. 's Public House, the Metropolitan Bistro, the Oak Room Tavern, and Still Partners.